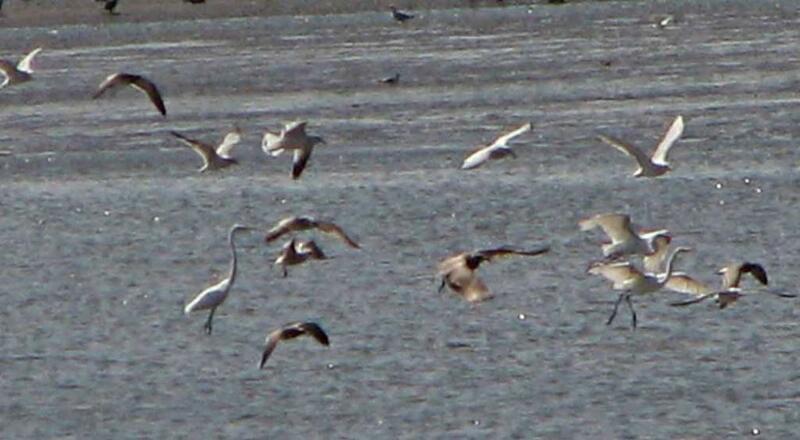 Meadowlands Environmental Center in New Jersey on April 3, 2013 when we visited this location for birding. 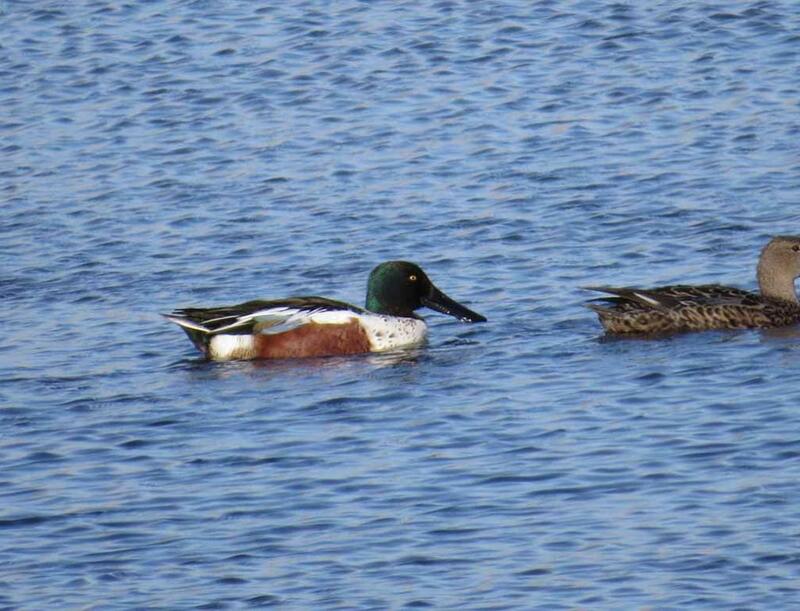 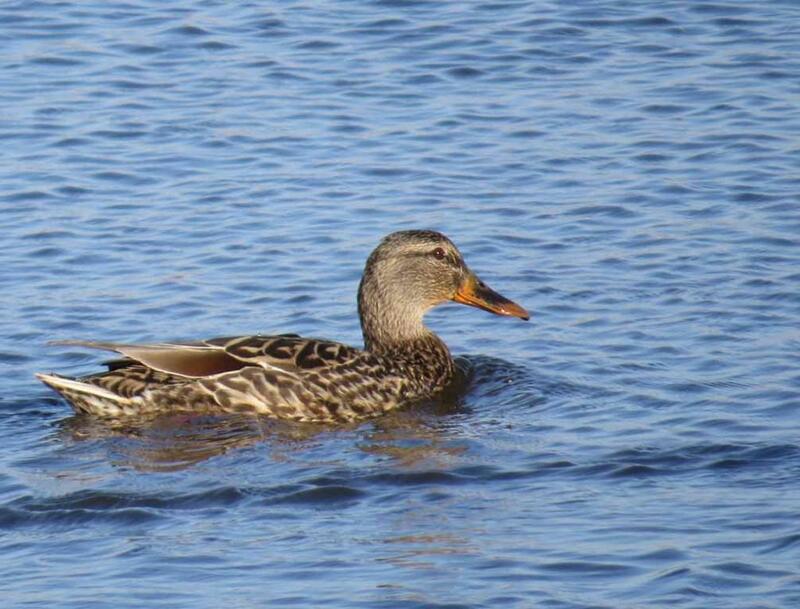 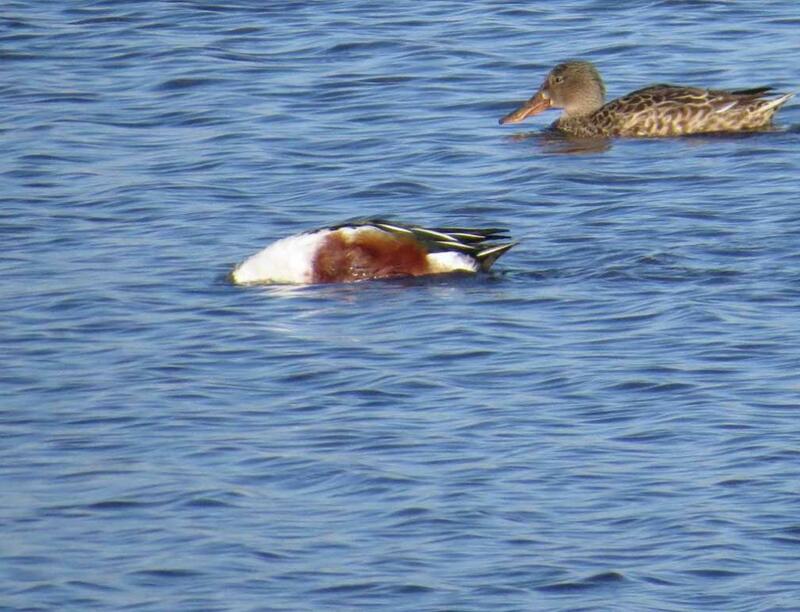 Female northern shoveler in West Pool on April 3, 2013.
south of this Meadowlands Sports Complex is a great birding location in the middle of total urbanization? 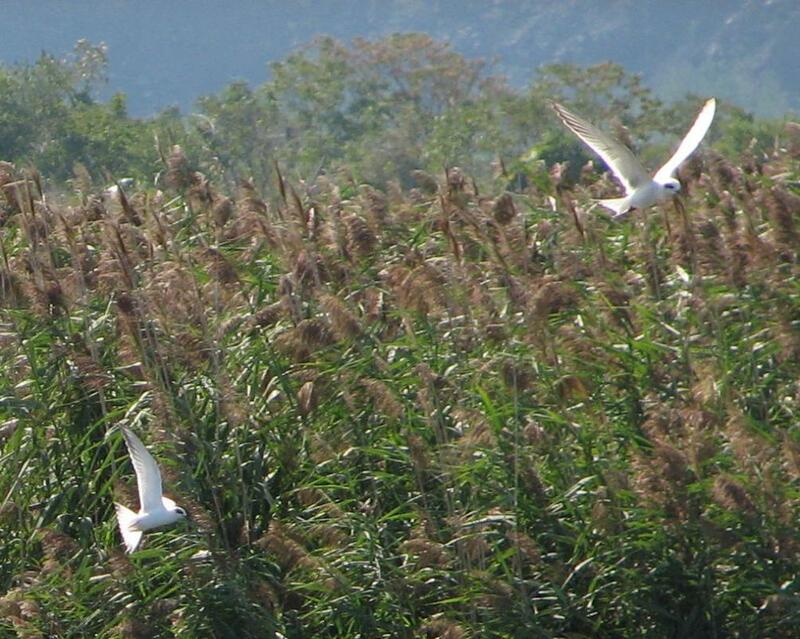 natural beauty of the real Meadowlands. 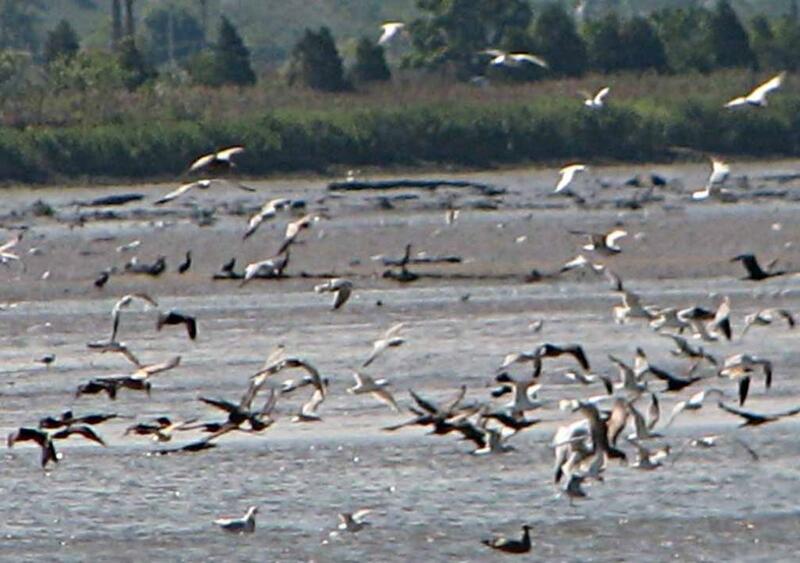 wetlands environment so close to the New York City. 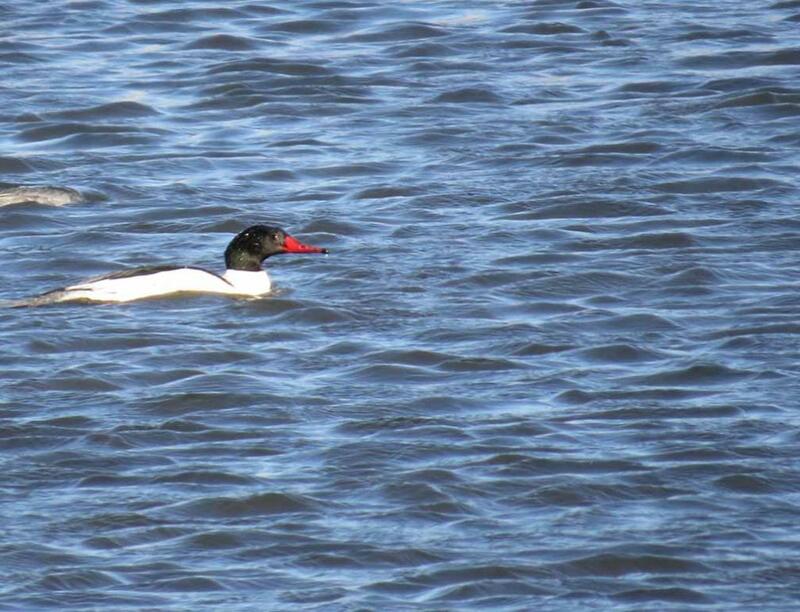 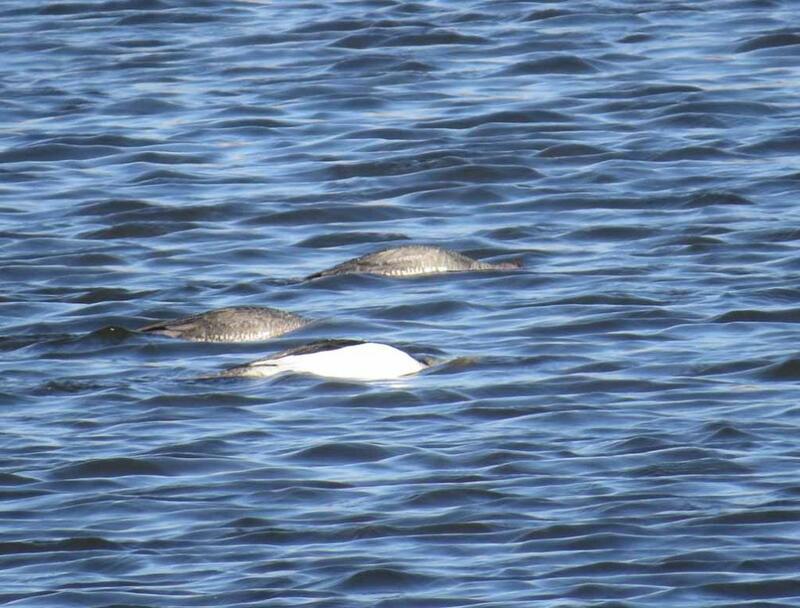 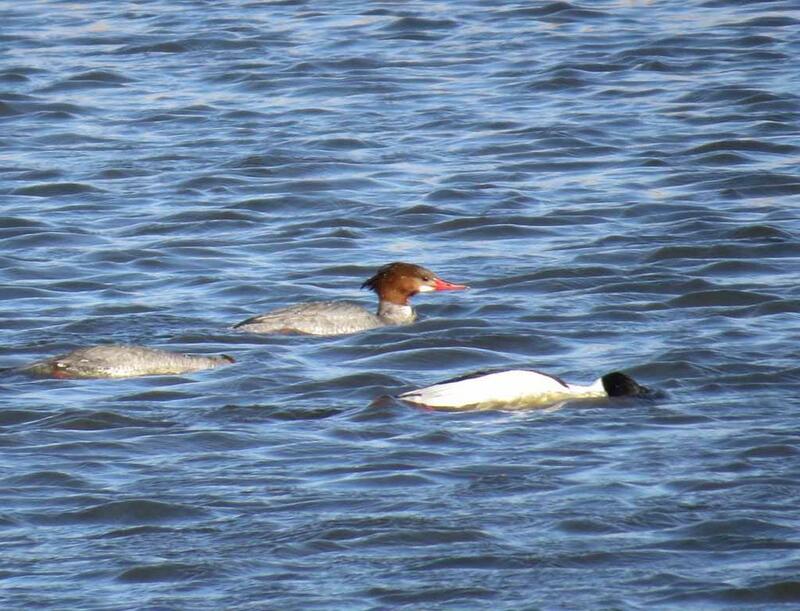 One of several mergansers seen in the West Pool on April 3, 2013.
pace on the water surface. 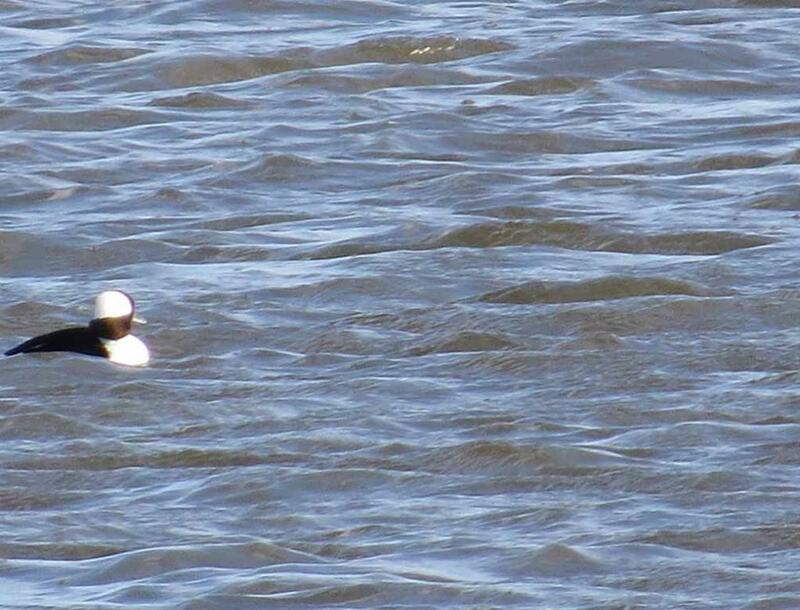 A bufflehead in the West Pool on April 3, 2013. 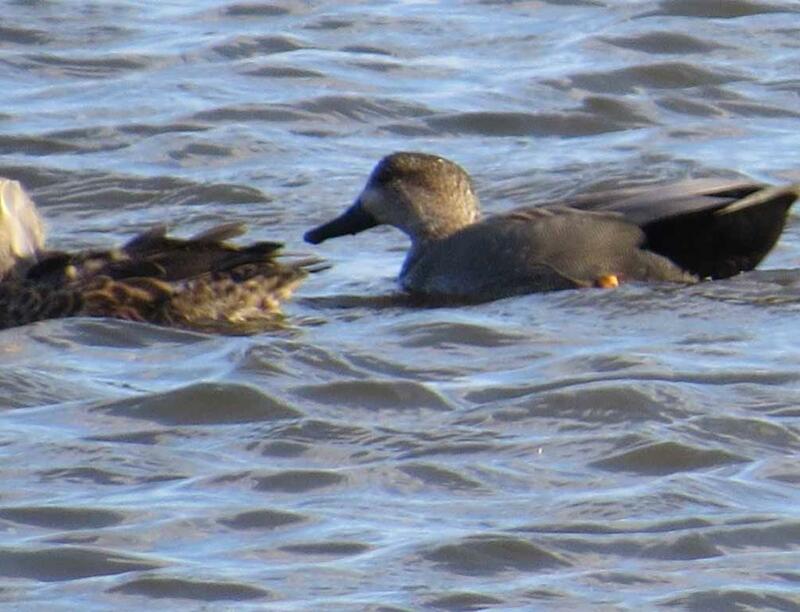 May be American Widgen in eclipse plumage in the West Pool on April 3, 2013. 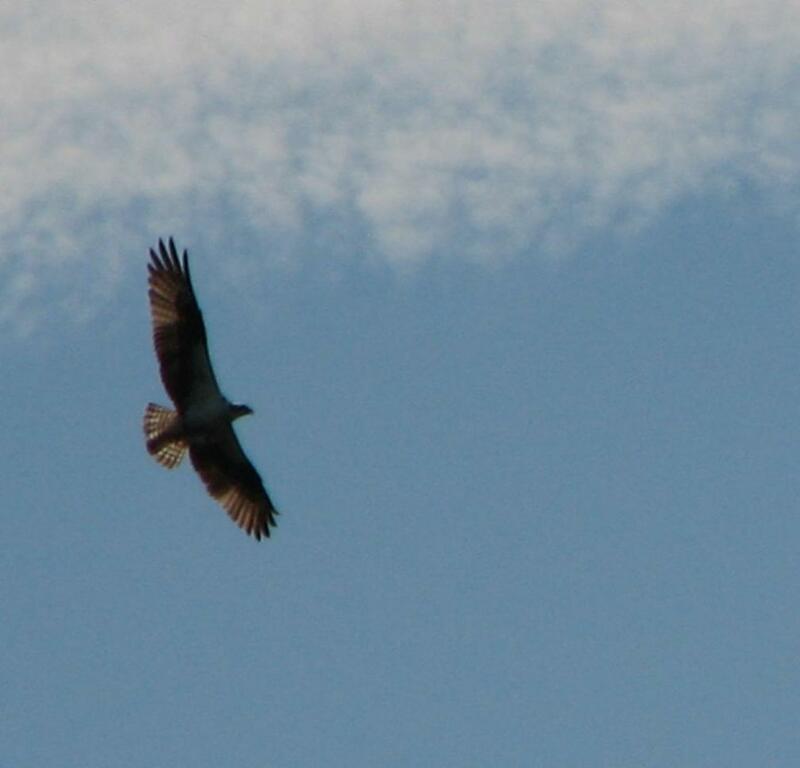 Lyndhurst, New Jersey on September 4, 2006. 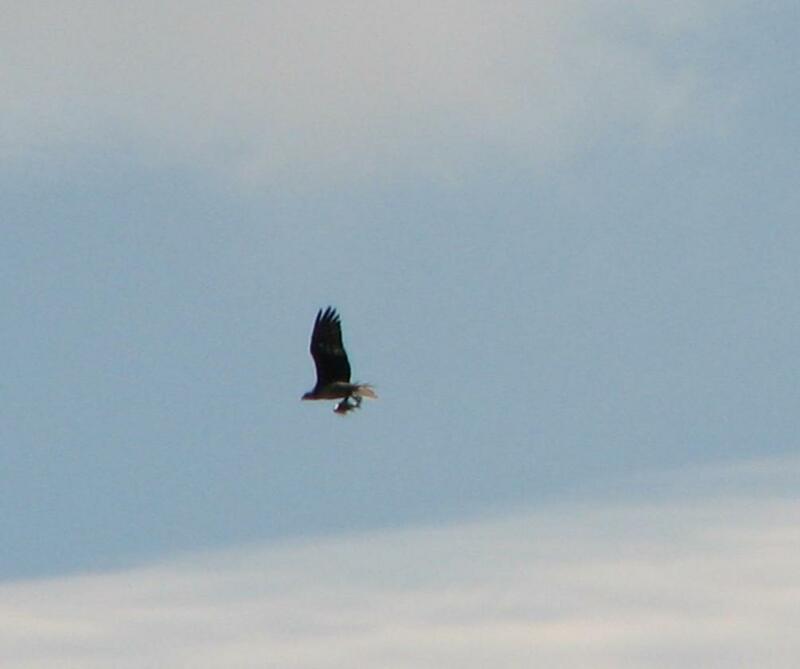 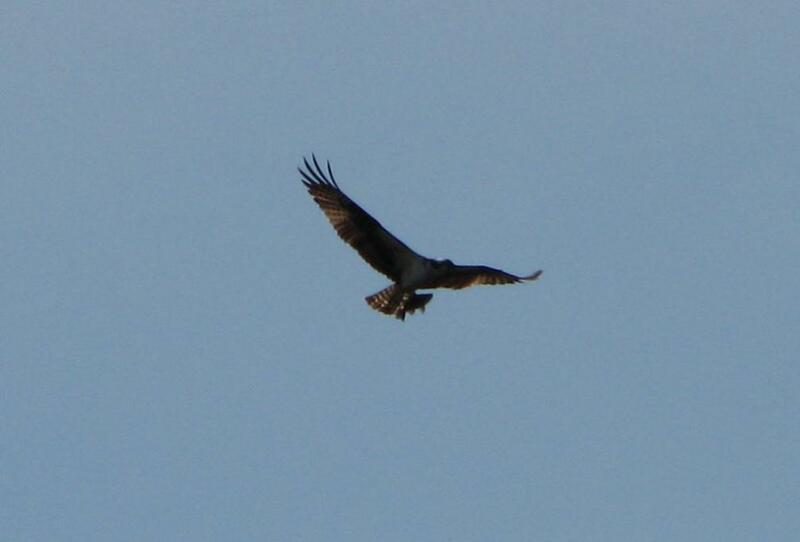 A view of the osprey before it got the fish on September 4, 2006. 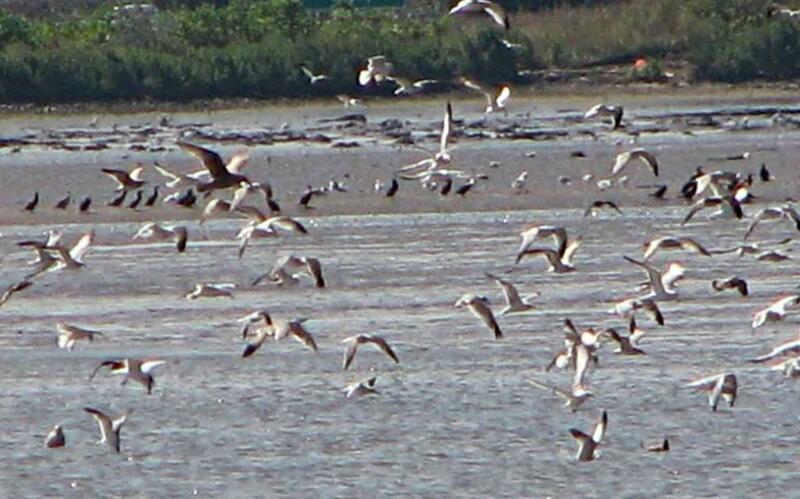 Zoom in to see busy activities of many birds on the large Saw Mill Creek Mudflat in Meadowland Richard W.
Some birds are standing on the mudflat whereas many birds are flying in the air. 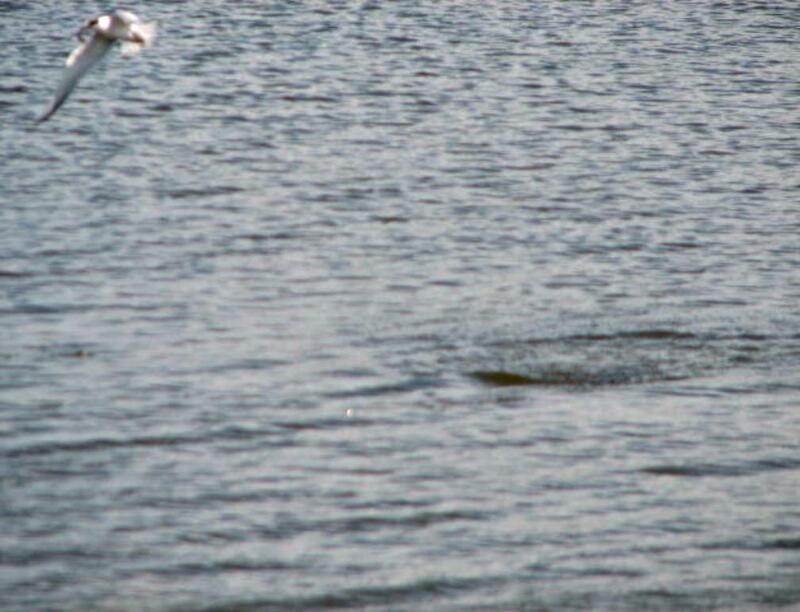 A pair of swans in the West Pool on September 4, 2006. 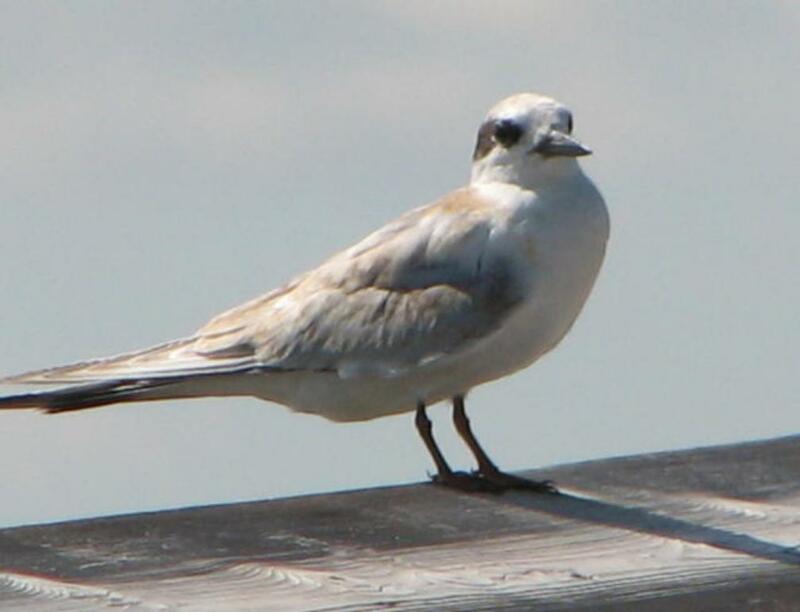 A tern on rail in Meadowlands. 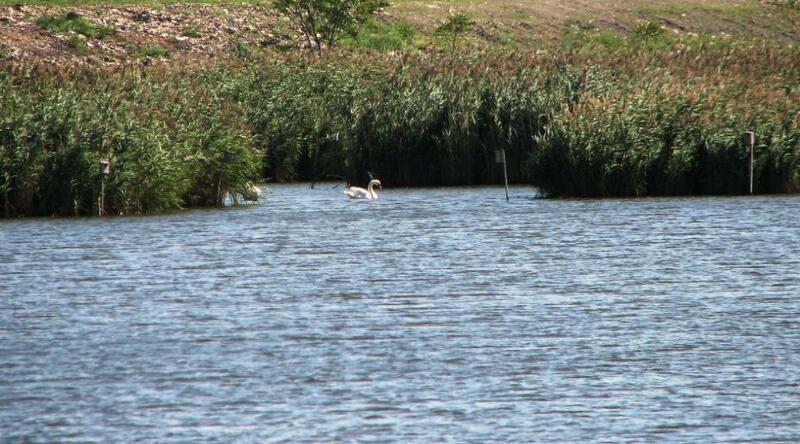 catch fish on the West Pool and other impoundments on September 4, 2006 as shown in the following pictures. 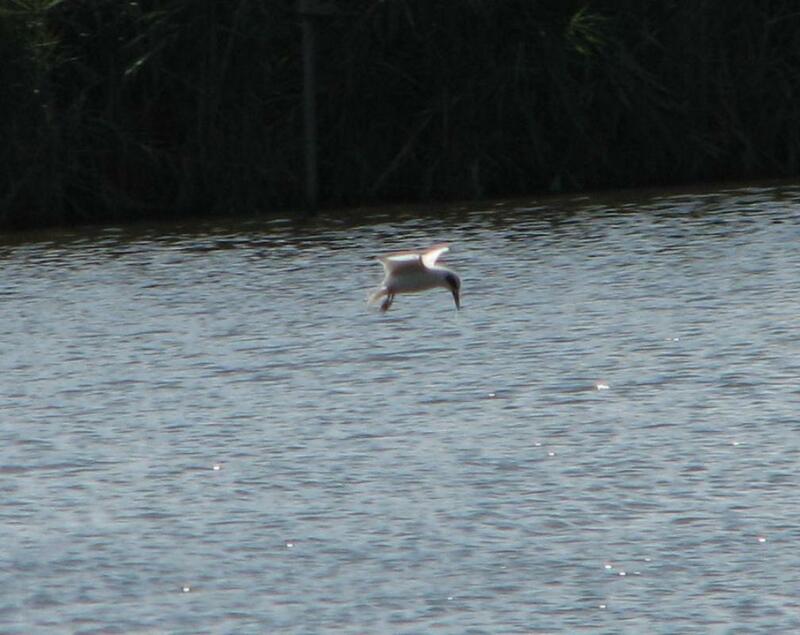 This tern is hovering in mid air looking down at a fish and preparing to dive into the West Pool. 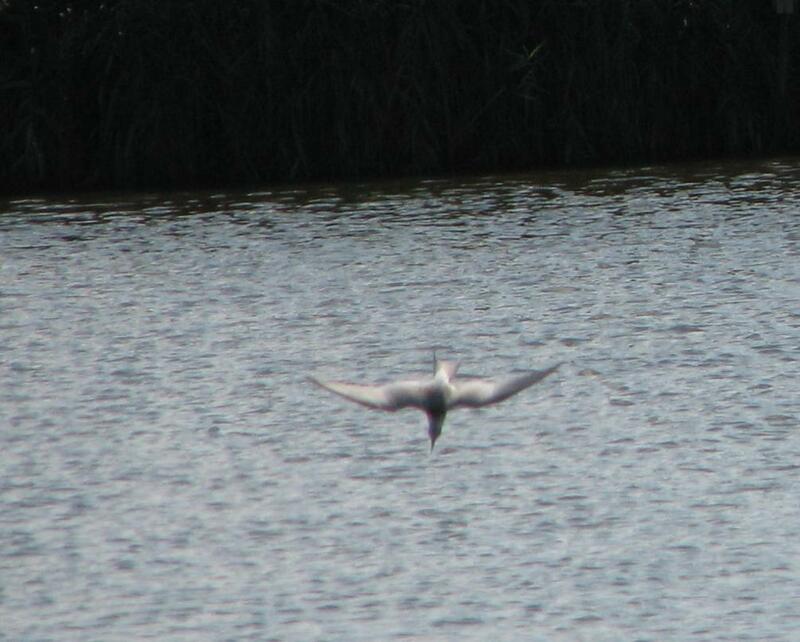 A plunge diving tern with extended wings. 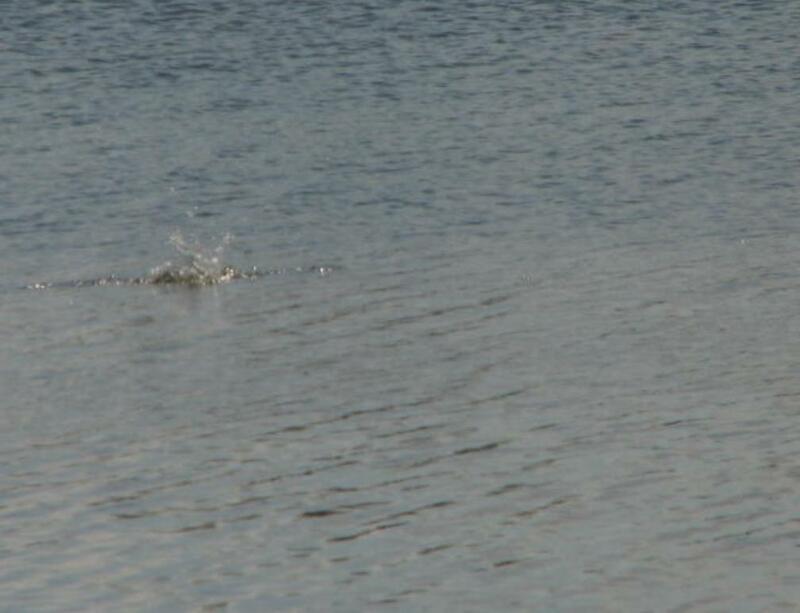 The tern dived into the water with a splash. 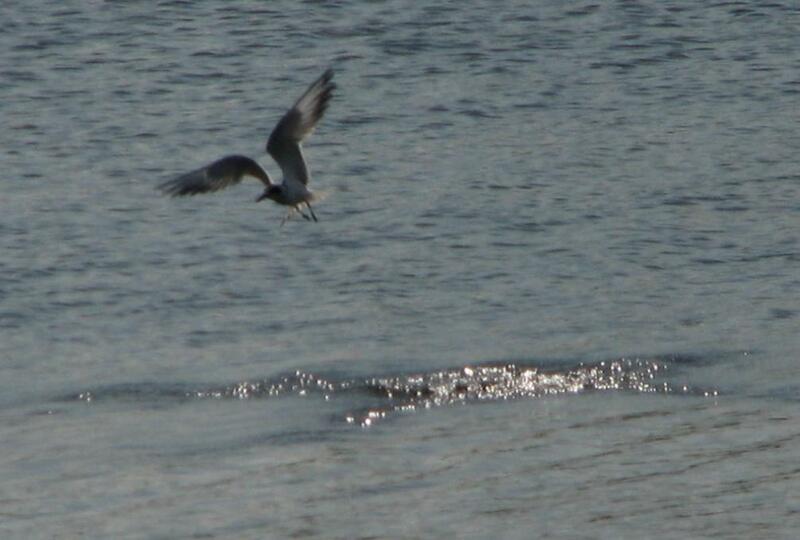 After plunge diving, this tern just got out of the water with a small fish in its beak. 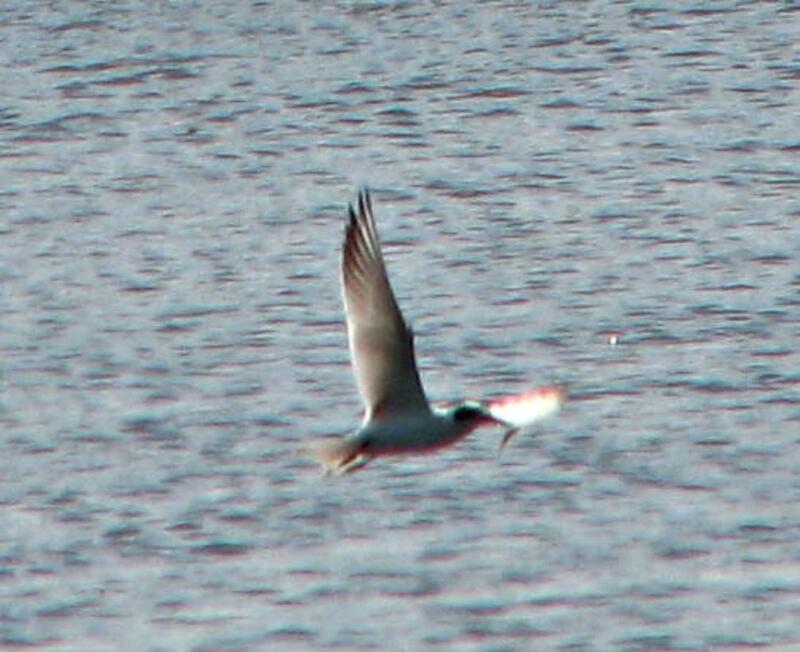 Another tern just got out of water with a fish in its beak. 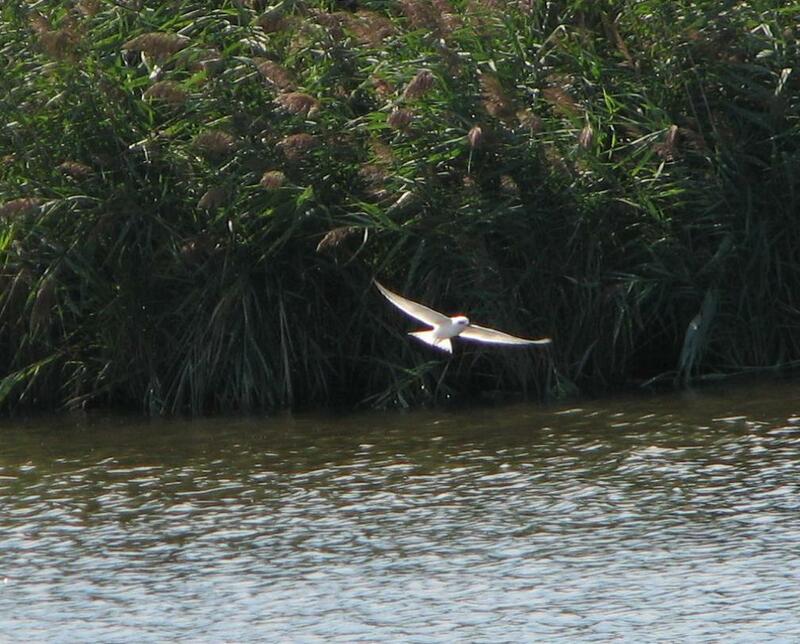 Another tern just got of water, but probably missed the fish. 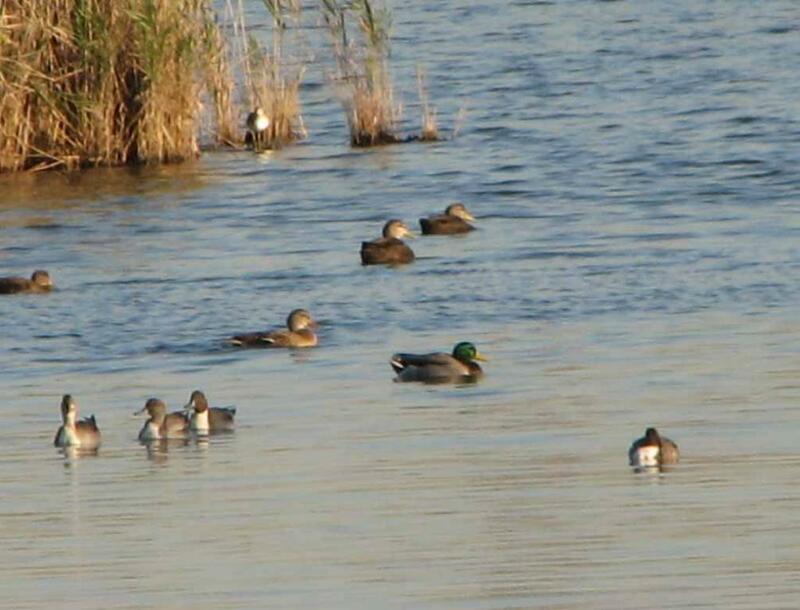 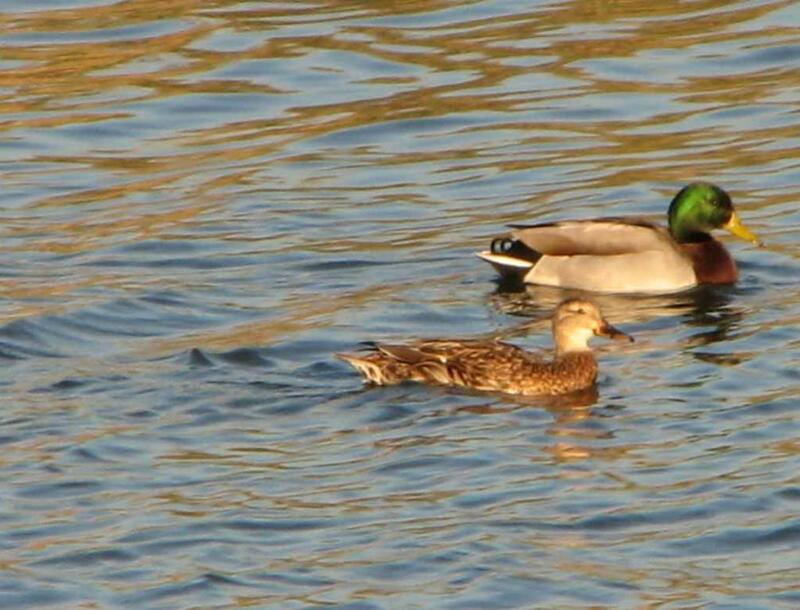 One of several pairs of mallard on the West Pool on October 30, 2007. 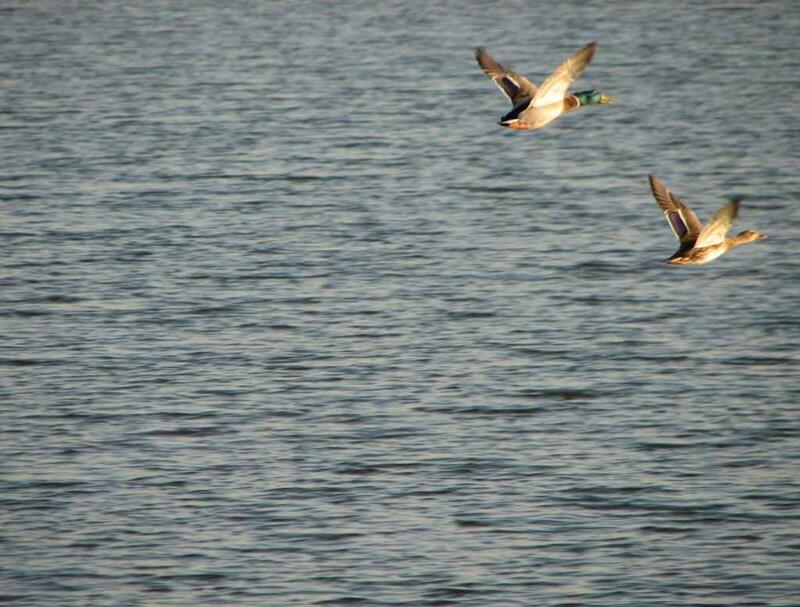 A pair of mallard in flight over the West Pool on October 30, 2007. 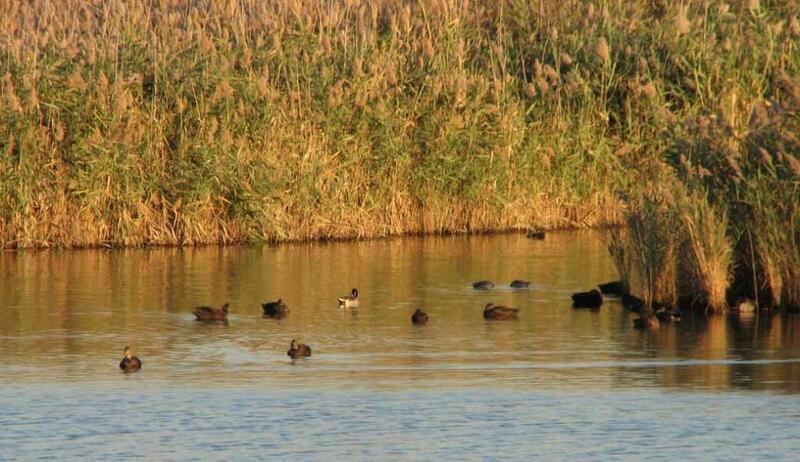 Many waterfowl on the West Pool on October 30, 2007. 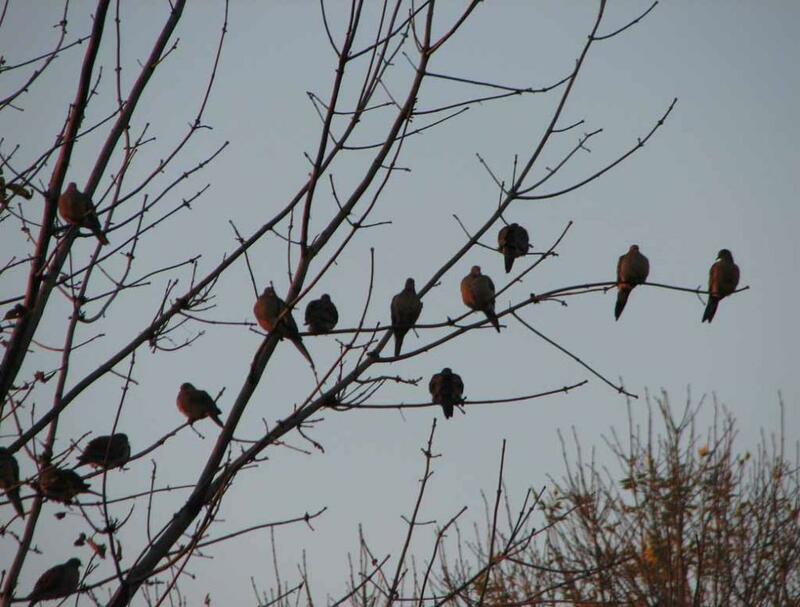 Many moaning doves on a tree near the West Pool on October 30, 2007. 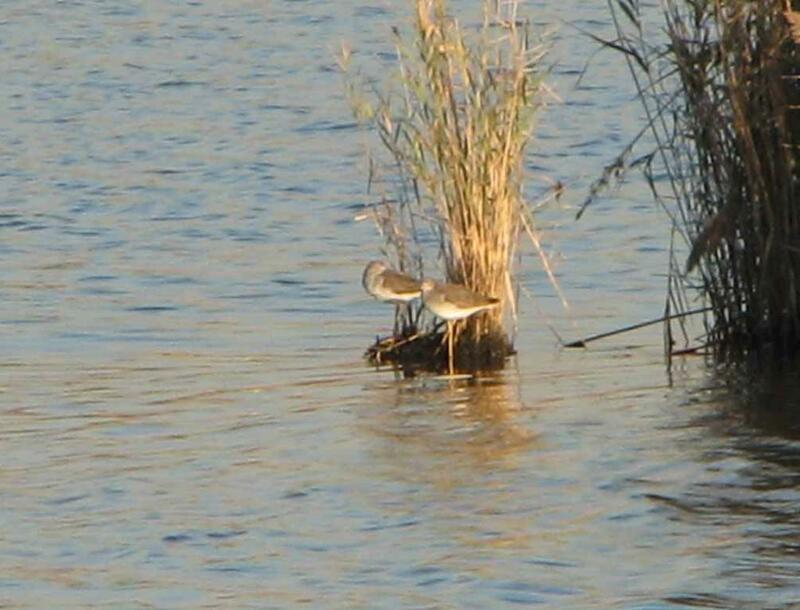 Yellow leg shore birds on the West Pool on October 30, 2007. 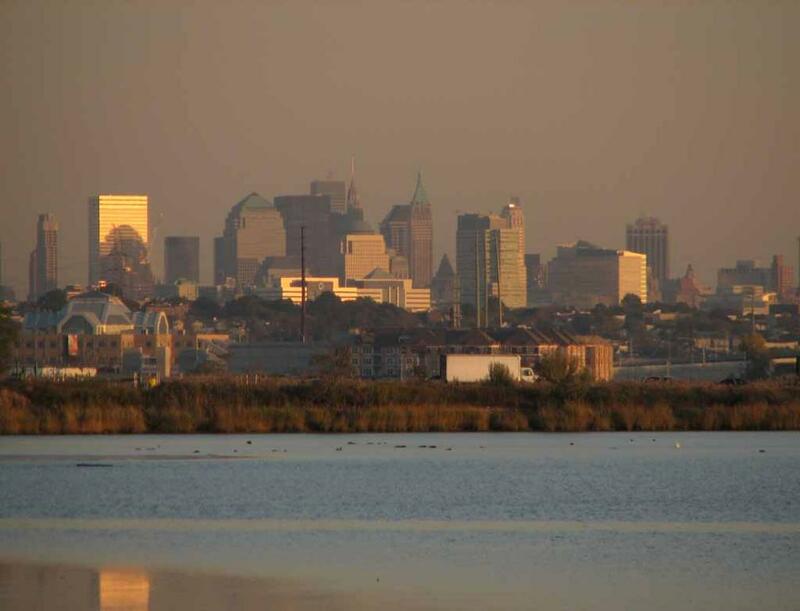 Zoom in on the New York Skyline from Meadowlands Richard W. Dekorte Park. 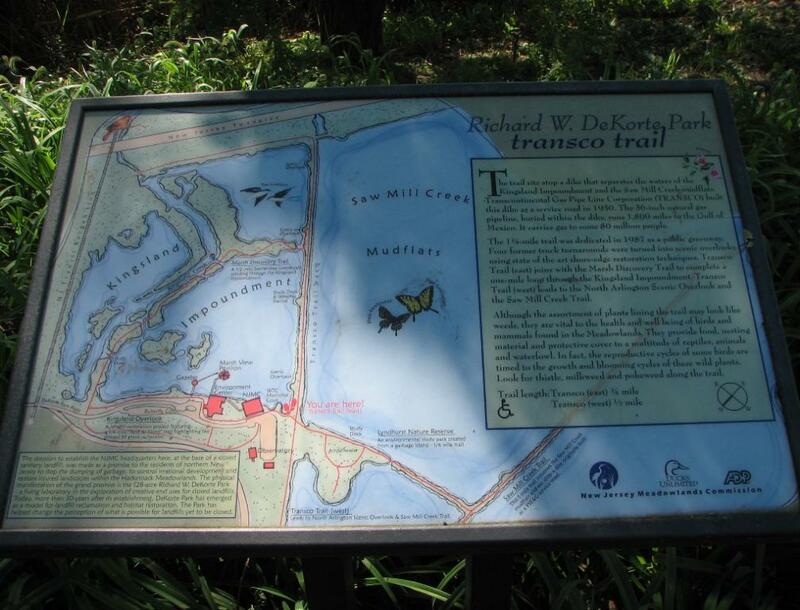 several hiking trails along the impoundments. 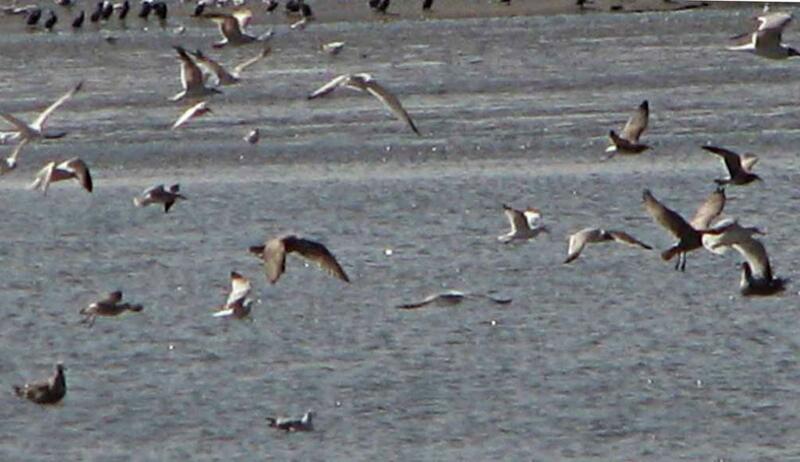 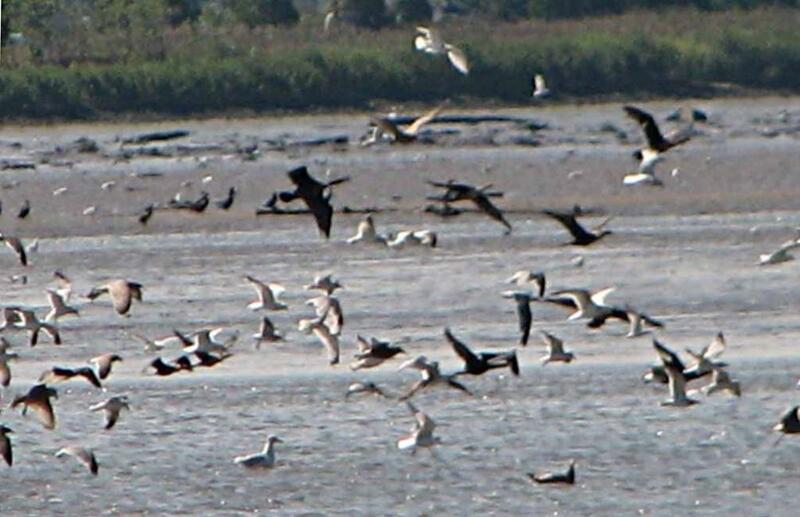 turmoil such that many birds on the mudflat took off into the air for safety. 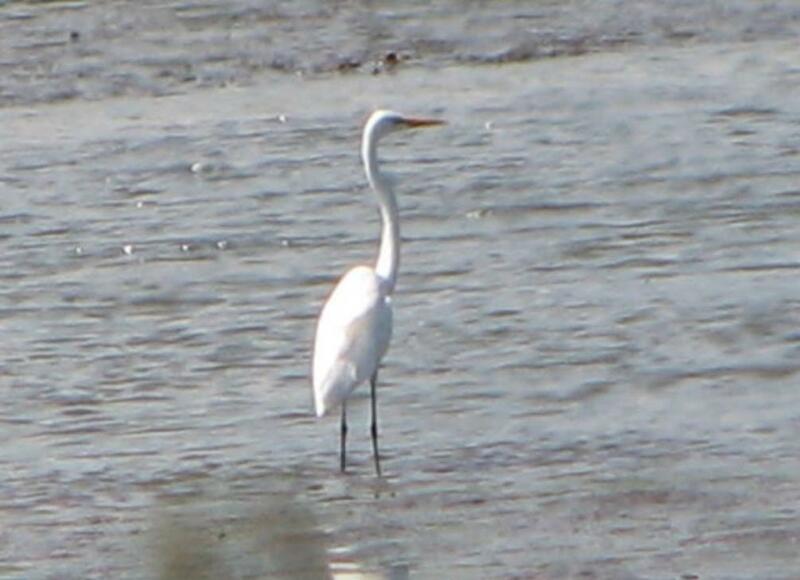 Zoom in on one of several egrets on the Saw Mill Creek Mudflat on September 4, 2006. 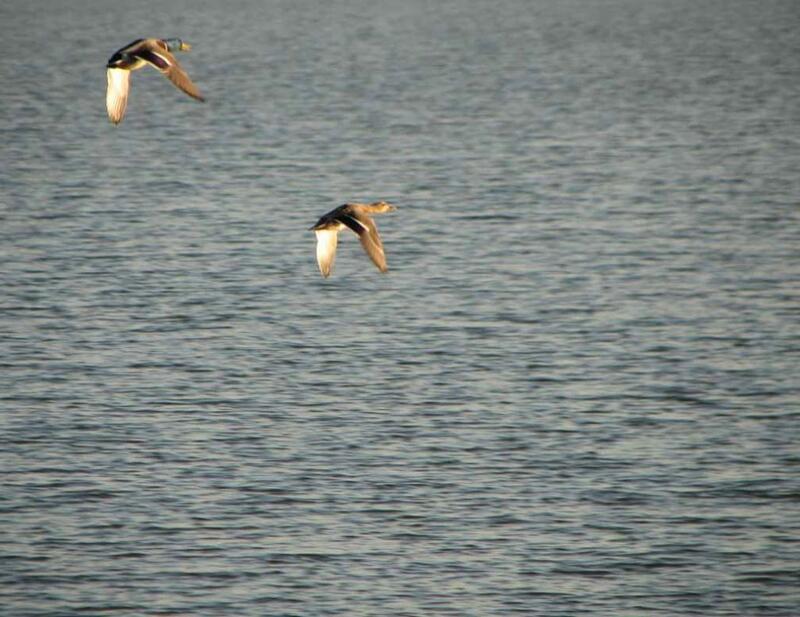 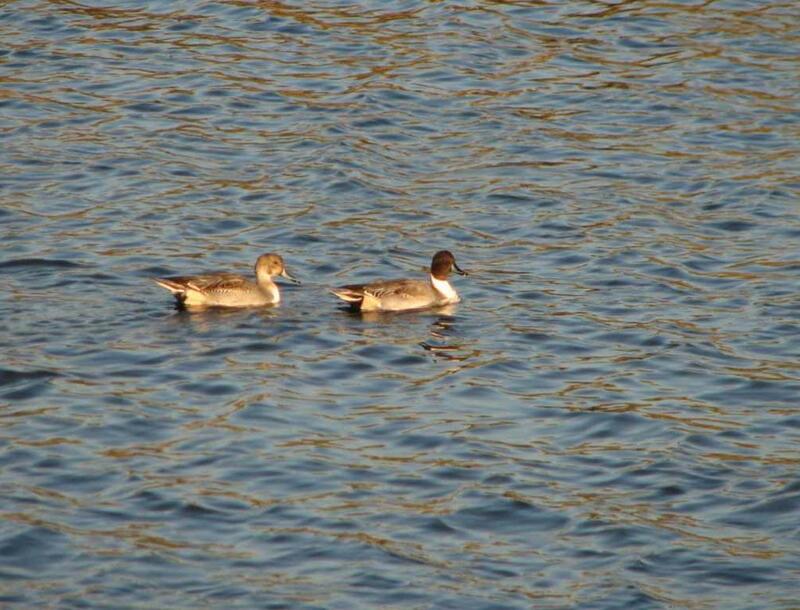 One of several pairs of northern pintails on West Pool on October 30, 2007.